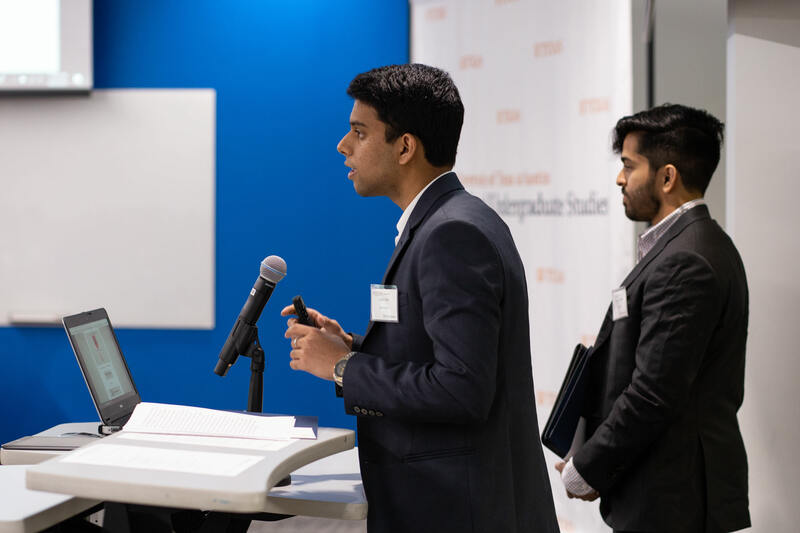 Ishi Tripathi, a first-year School of Undergraduate Studies student, was named the 2018-19 Senate Representative of the Year. 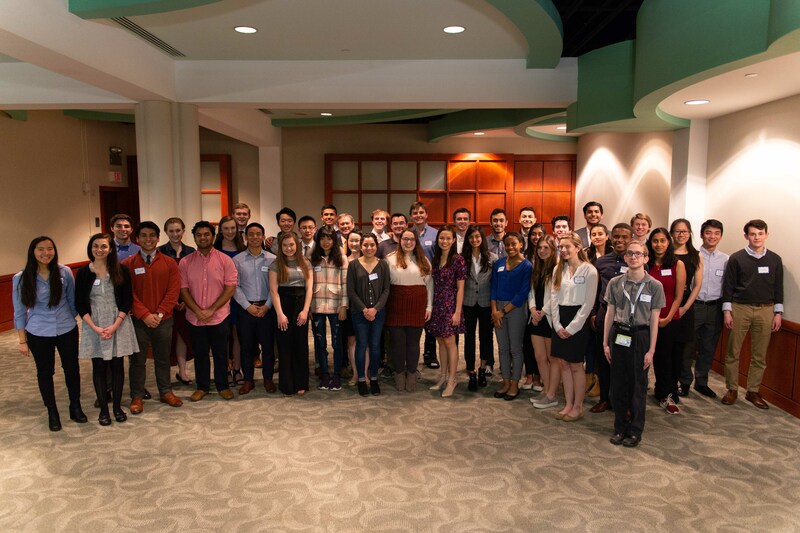 The School of Undergraduate Studies recognized a year’s worth of outstanding student writing at the third annual ceremony. 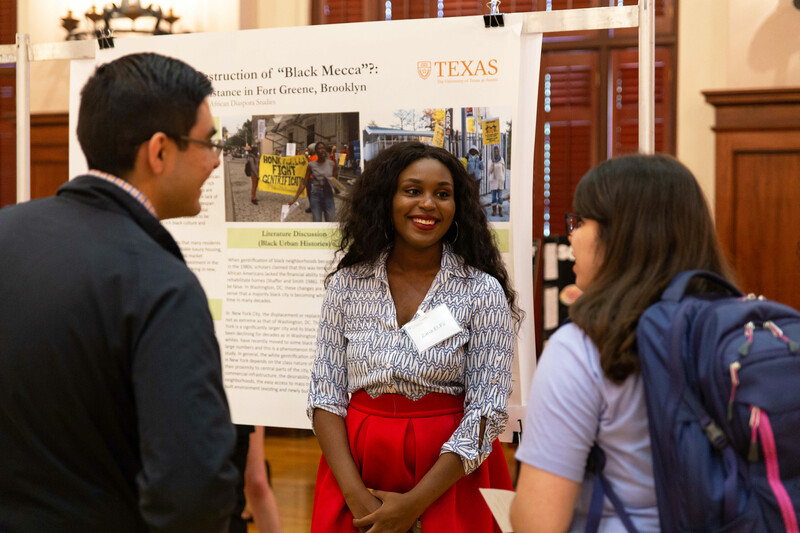 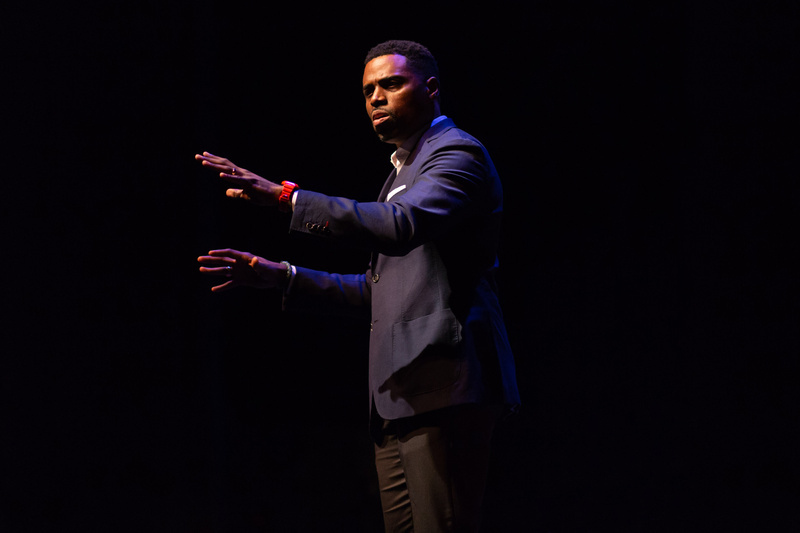 Each year, Research Week showcases an array of undergraduate research projects from across the Forty Acres. 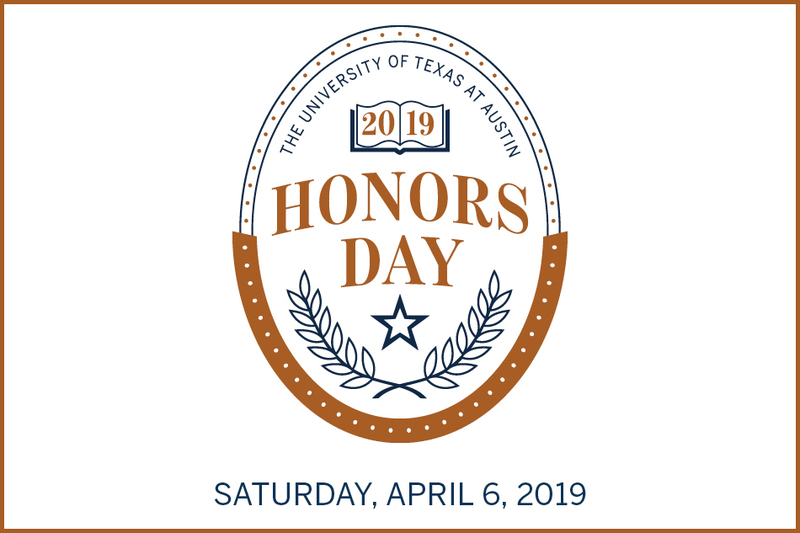 Bill Powers led a long and impressive career at The University of Texas at Austin and was a founding force for UGS. 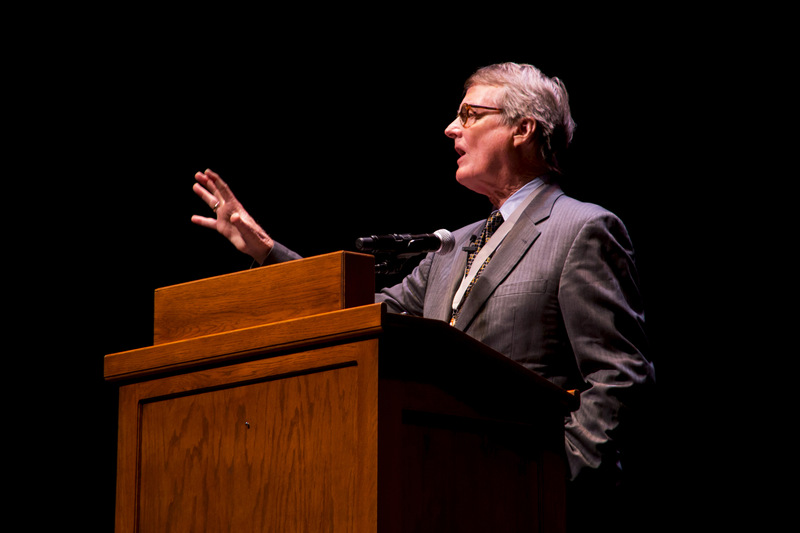 The School of Undergraduate Studies is the initial home for students exploring majors. 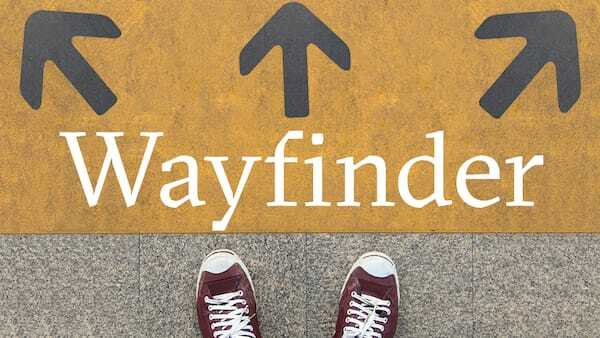 In collaboration with an advisor and a career counselor, our students find their unique paths to graduation. 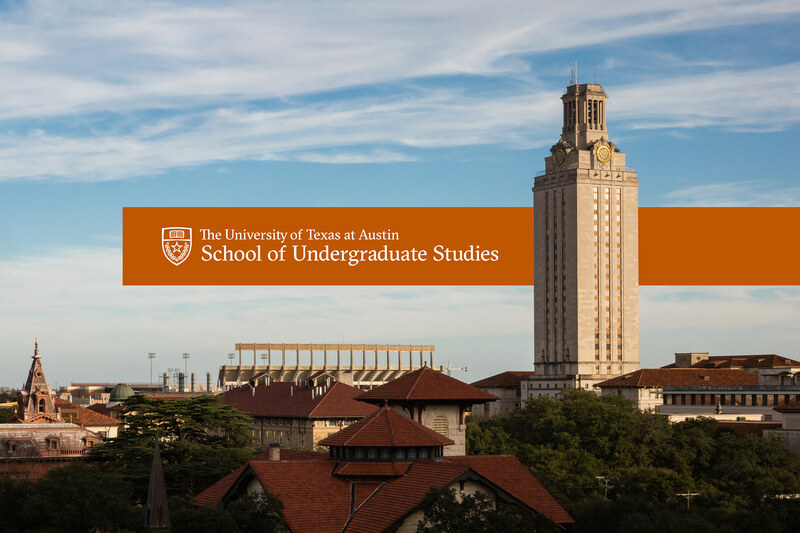 We also oversee the undergraduate core curriculum and programs that strengthen the degrees of all UT students. 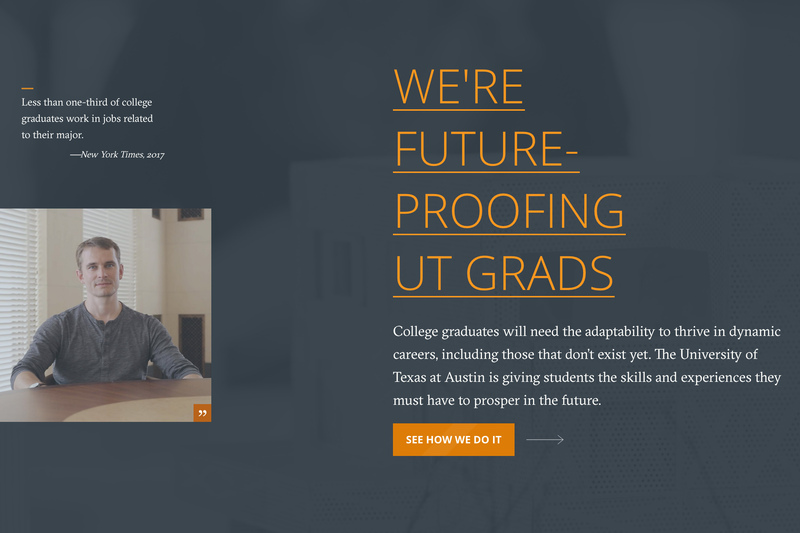 See how we’re future-proofing UT graduates and setting them up for a lifetime of success.